You have until Thursday, September 22nd to win! “Blue hues replaced the black of night as the morning of September 7, 2011 dawned in war-torn Afghanistan. 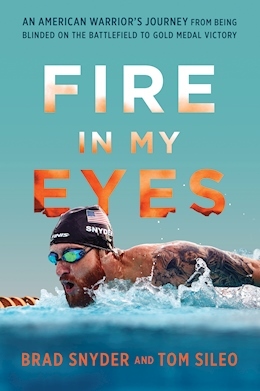 No longer needing night vision equipment to reveal what was once obscured in darkness, I removed my helmet and night optical devices…It was the last sunrise I would ever see,” writes US Navy veteran Brad Snyder in the prologue to Fire in My Eyes: An American Warrior’s Journey from Being Blinded on the Battlefield to Gold Medal Victory. Snyder has already earned several medals at the 2016 Summer Paralympic Games in Rio de Janeiro. Previously, Snyder earned two golds and a silver at London in 2012. Now, he teams up with co-author Tom Sileo (author of Brothers Forever: The Enduring Bond between a Marine and a Navy SEAL that Transcended Their Ultimate Sacrifice) to tell his life story. 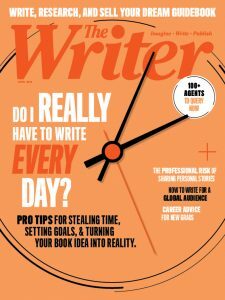 Readers have until Thursday, September 22nd at 11:59 pm to win a copy of Snyder’s story. Use the form below to enter, and good luck! This giveaway is now closed. Thank you for your interest. Calling all readers: What’s your favorite sentence from literature?